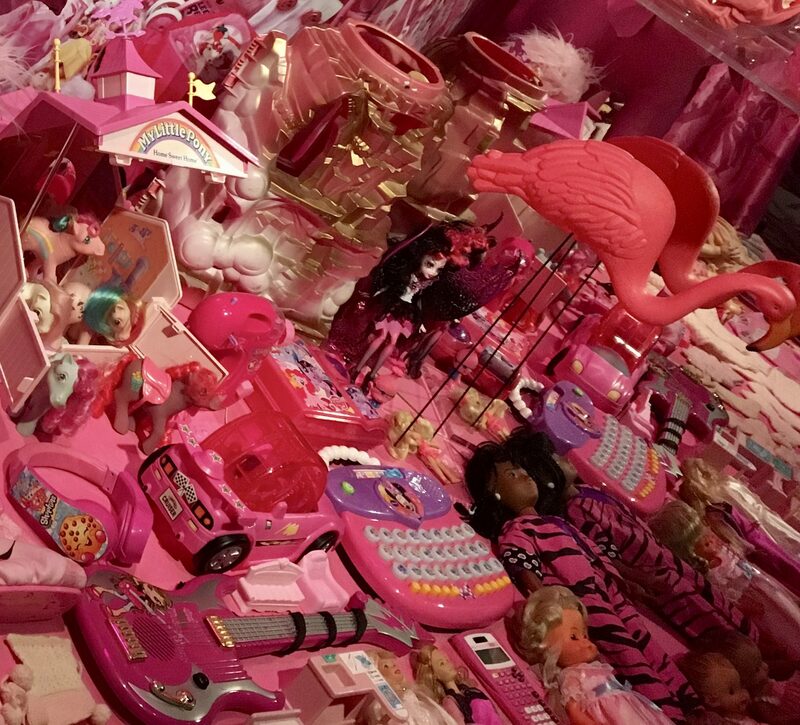 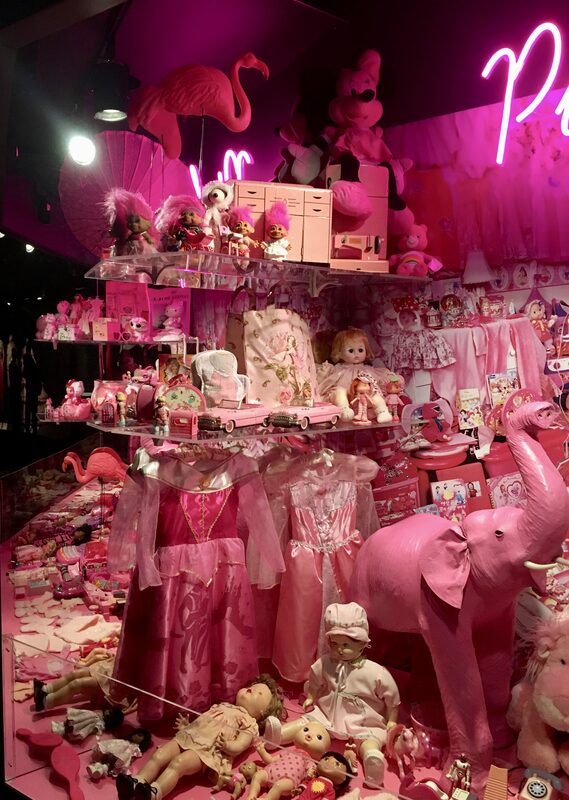 JeongMee Yoon’s photograph, Jeeyoo and Her Pink Things (2007) from The Pink Project (2005 – ongoing) inspired this diorama of Pink Girls Toys, which provides a launching focal point the new exhibit, Pink: The History of a Punk, Pretty, Powerful Color up now at the Museum at FIT. 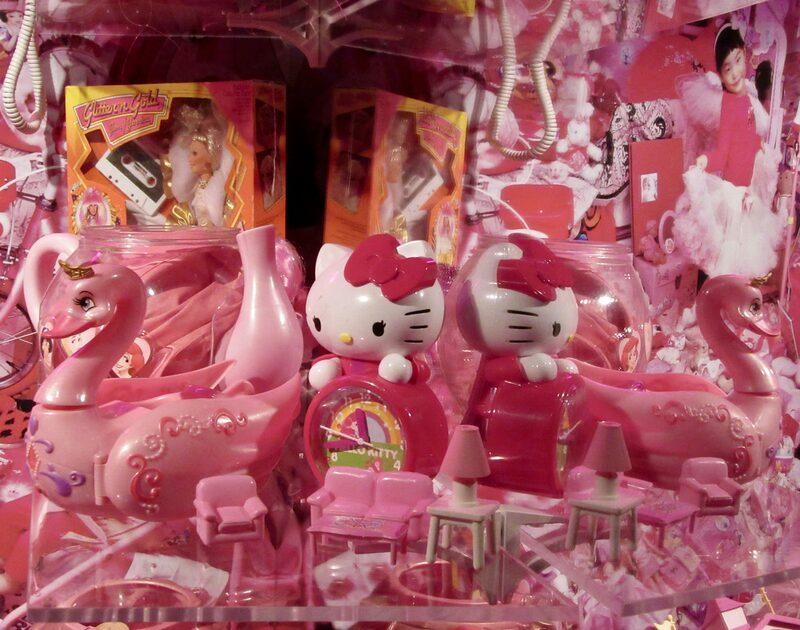 The idea that pink is for girls and blue is for boys is ubiquitous today. 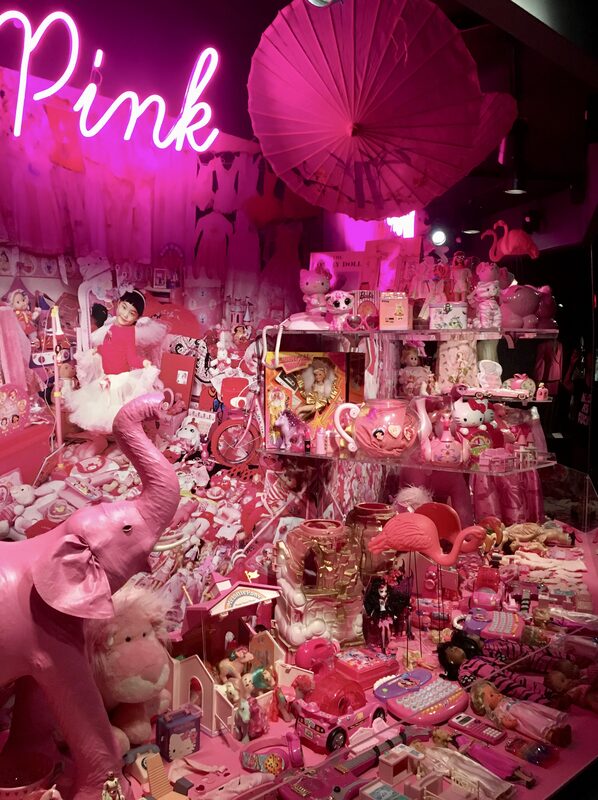 Already conspicuous in the 1950s, when it was part of an ideological push towards gender conformity, the pinkification of girl culture really took off in the late 1970s and 1980s. 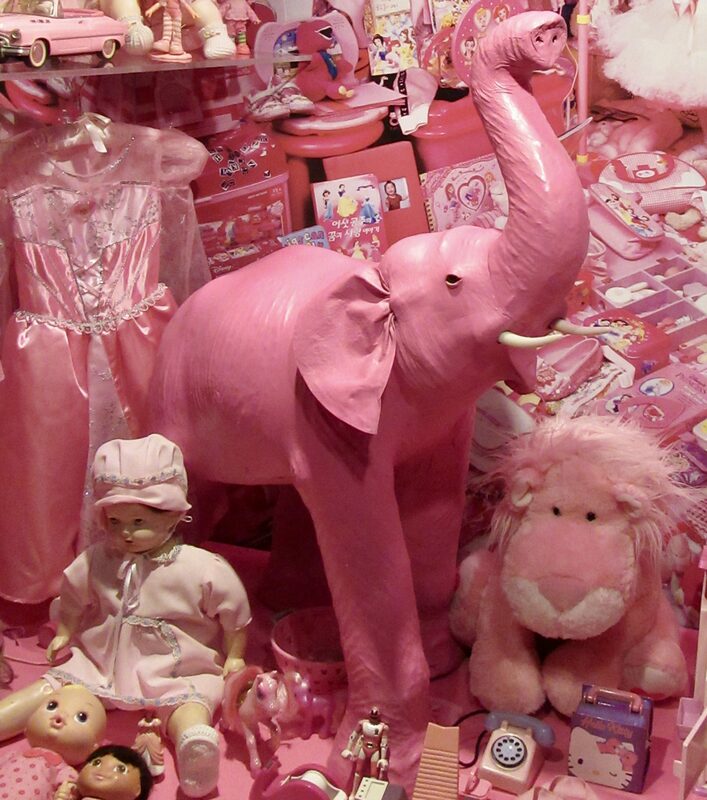 I could have stood in front of this breathtaking Shrine to Pinkness forever. 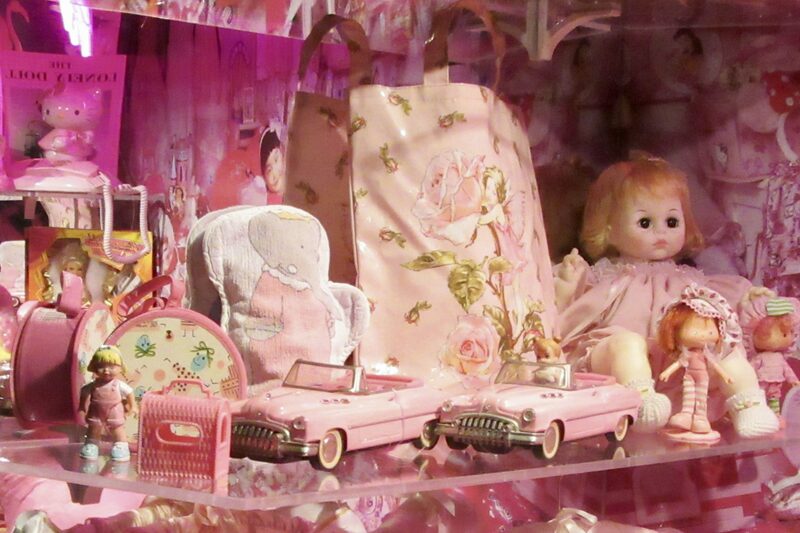 Please enjoy a few more detail shots of this Pink-Lover’s Paradise! 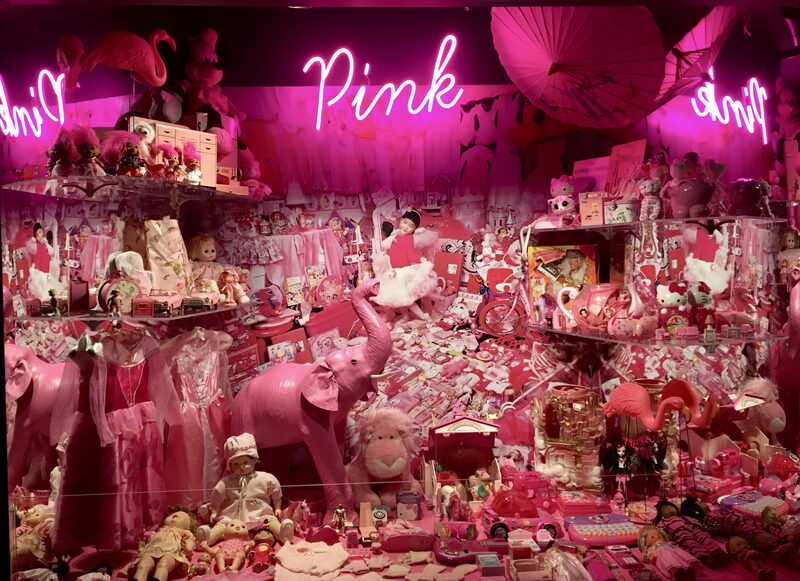 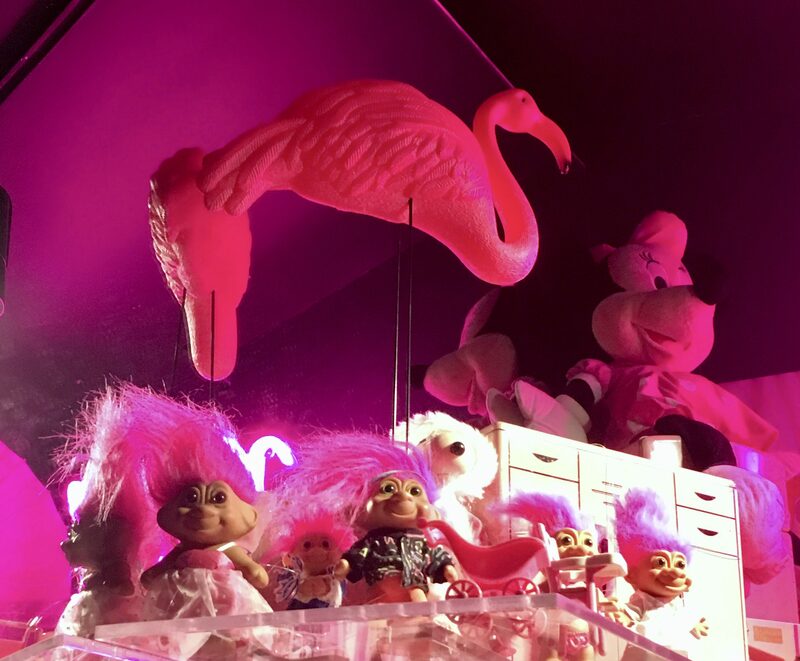 Pink: The History of a Punk, Pretty, Powerful Color Will Be on Exhibit Through January 5th, 2019 at The Museum at FIT, Located at Seventh Avenue and 27th Street in NYC.